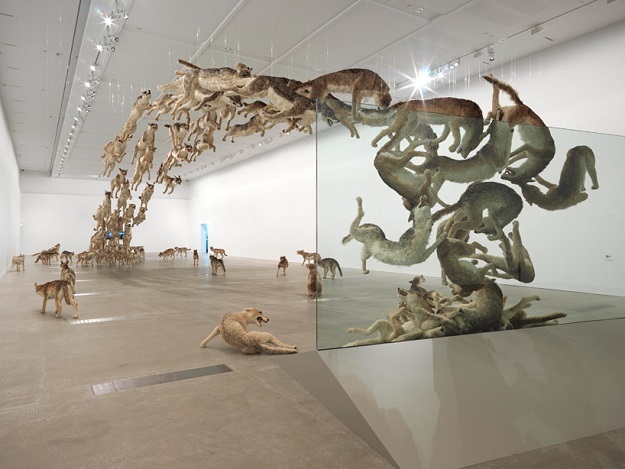 Chinese artist Cai Guo Qiang has created three spectacular installations for “Falling Back to Earth”, on show at the Queensland Gallery of Modern Art in Australia. 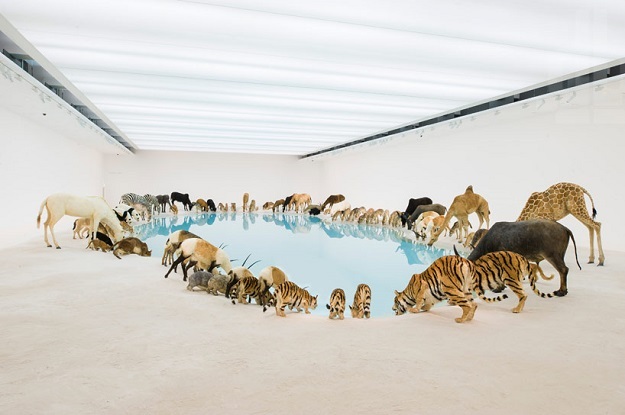 The centerpiece consists of 99 replicas of wild animals, all circled around a water pool and sharing a drink with each other. Also on show is “Head On 2006,” featuring 99 wolves leaping through the air and crashing into a glass wall!